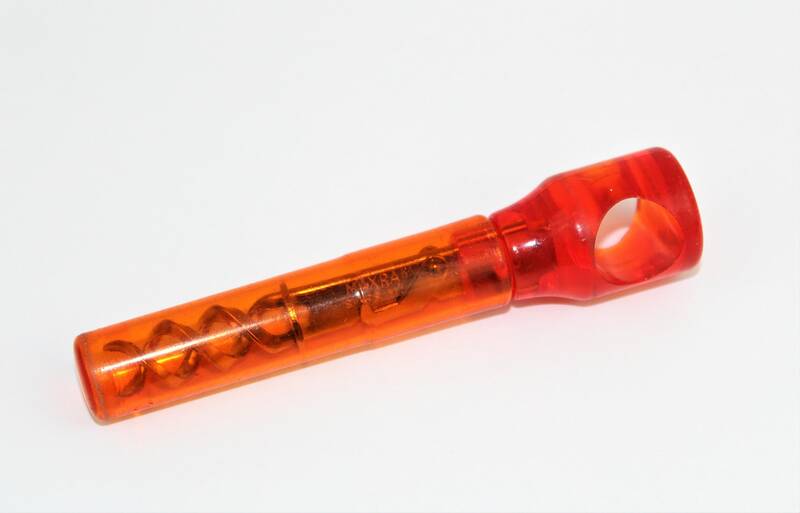 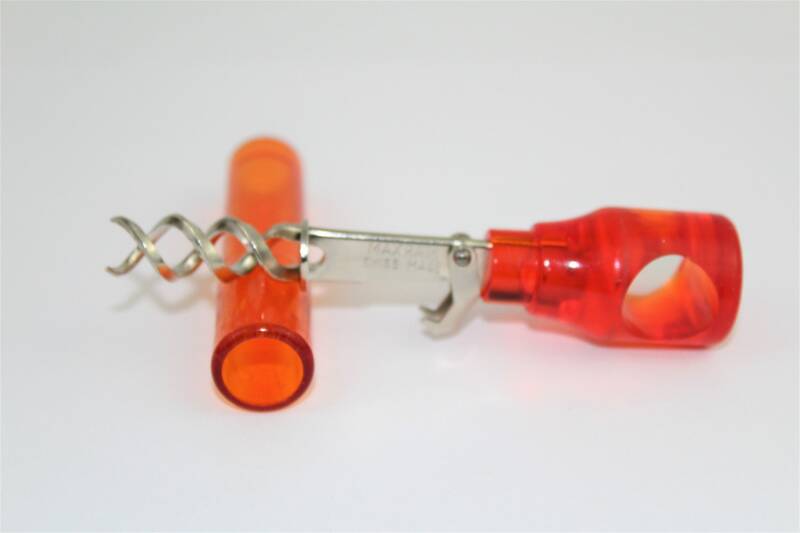 Wonderful 1960s orange Lucite corkscrew with a double helix made in Sweden. 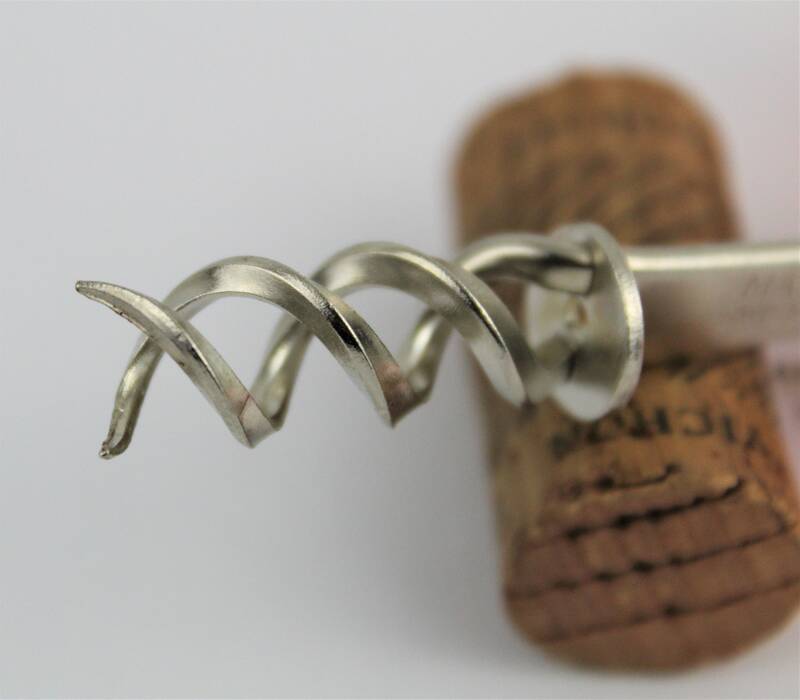 If you have never used a double helix corkscrew you’re in for a treat this is one of the easiest pocket style corkscrews to use. 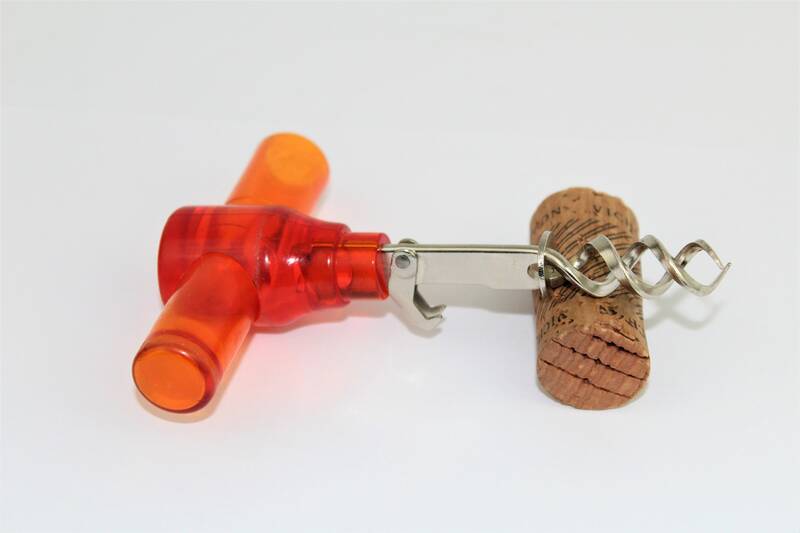 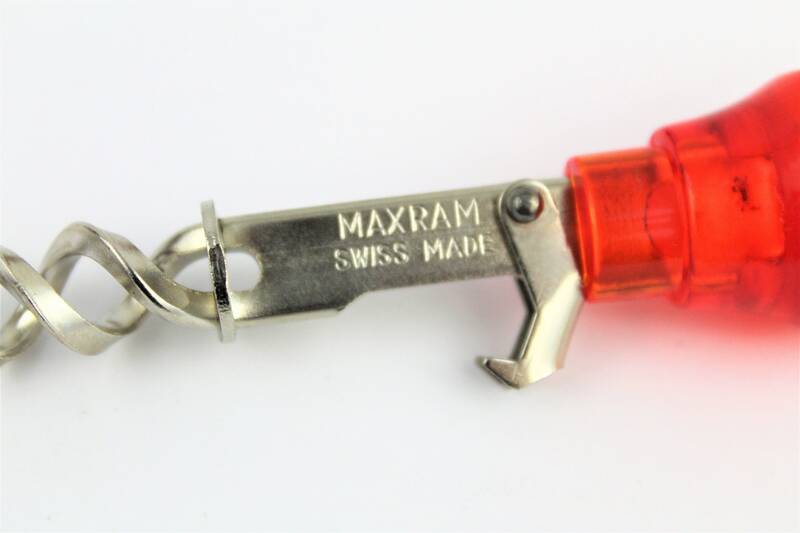 Insert the corkscrew into the cork start turning and once the button at the end of the screw hits the cork keep turning the cork will twist and break the seal on the neck of the bottle and remove with ease. 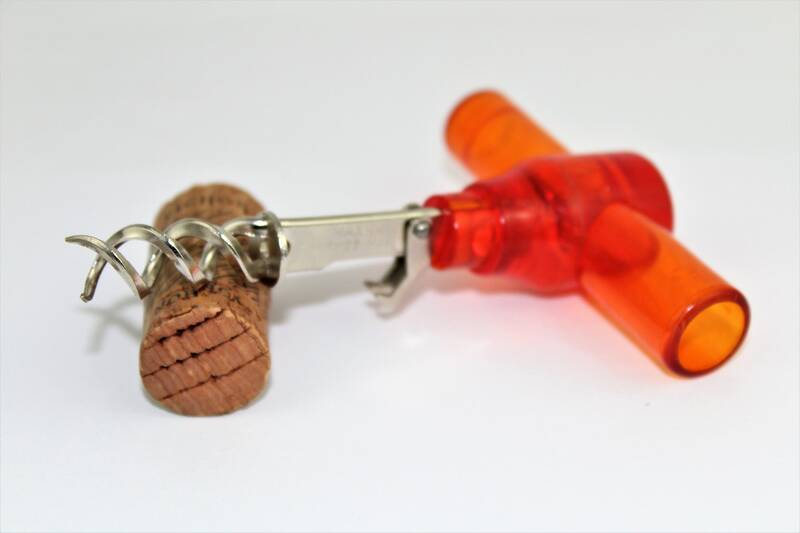 It will be the only travel corkscrew you will ever want. 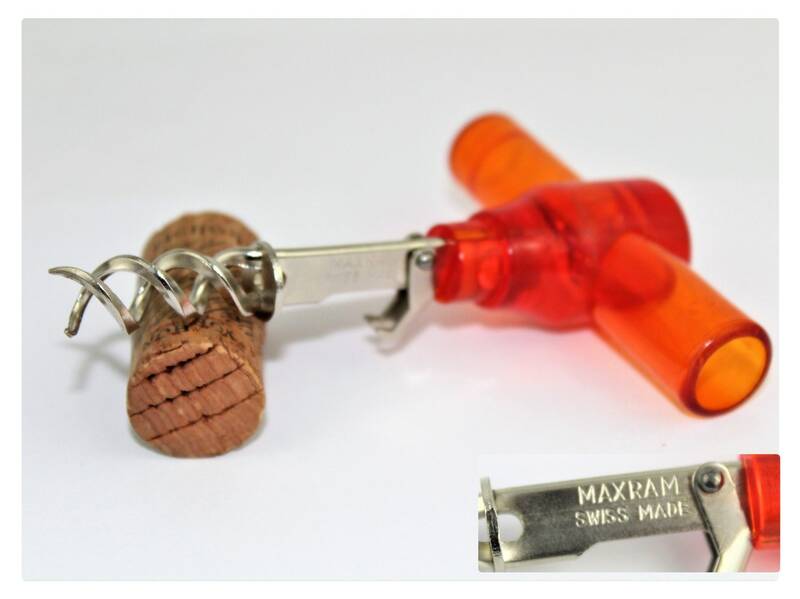 The fold-down arm is a bottle opener. 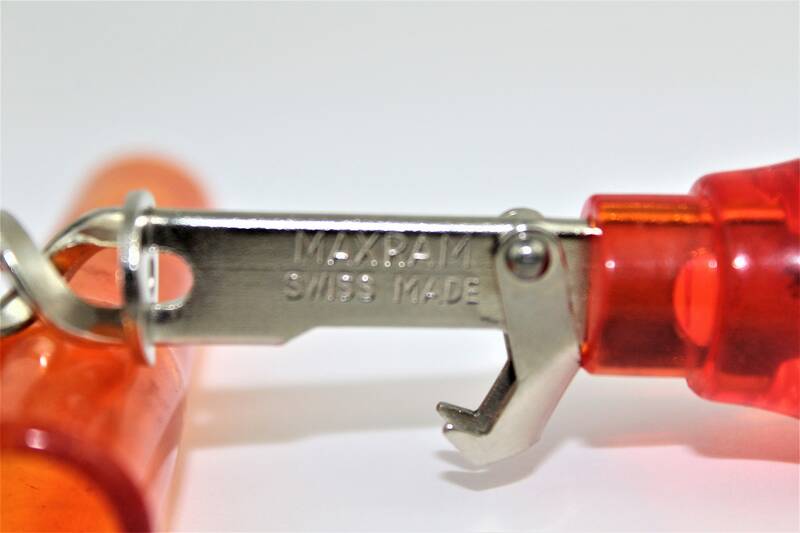 Measures; 4.5” long, 3” wide at handle.